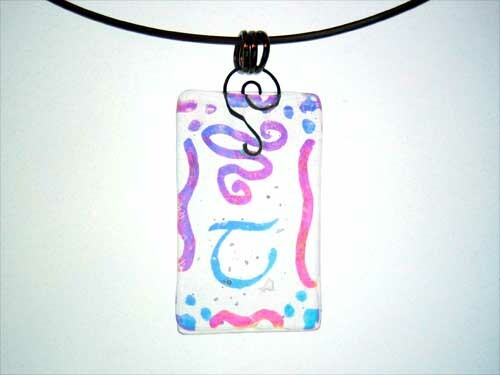 Custom pendants, Tengwar "L" and "Claire." I'm starting to feel better than I did earlier... some more rest and liquids helped. And art! Art helps! Ok can I make a request for an angel? Is that possible to make a shape. I collect angels. 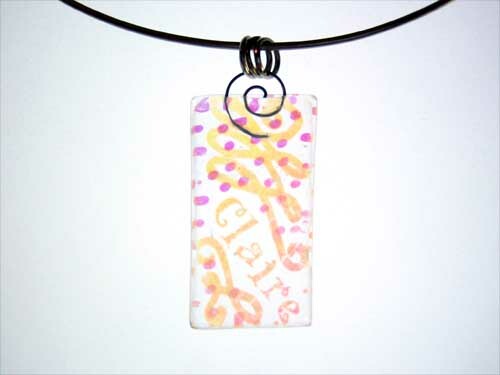 I can't cut out an angel shape, but I should be able to do a digital angel silhouette on a clear glass pendant. :) Or you could use it as an ornament or suncatcher instead. 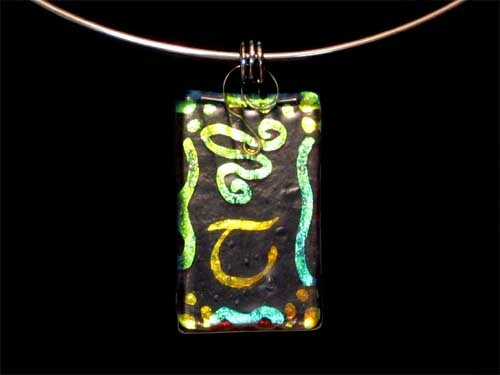 Suncatcher would be great. I am interested. Let's talk about it in person -- size vs. price, etc. 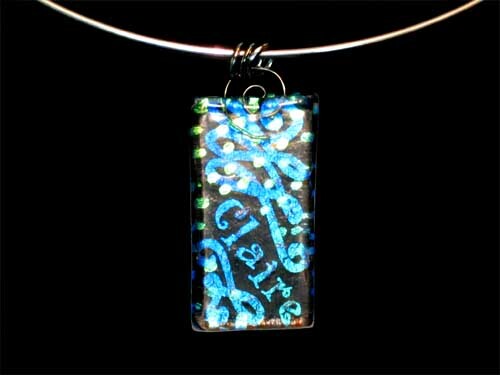 The dichroic glass gets to be pretty expensive in larger sizes.